Egypt is a member of the Paris Convention, the Madrid Agreement and Protocol, and the WTO/TRIPS. Provision is made for the registration of trade marks for goods and services and for collective marks and certification marks. There is no specific provision for defensive marks. Trade mark applications may be filed as national applications, in appropriate circumstances claiming priority in terms of the Paris Convention; or Egypt may be designated in international applications in terms of the Madrid Agreement or Protocol. Egypt is a member of the Paris Convention, the PCT and the WTO/TRIPS. The deadline for entering the PCT national phase in Egypt is 30 months from the earliest priority date. Patent protection may be obtained by way of a national filing, claiming priority in appropriate circumstances, or by way of an international application under PCT designating Egypt. Egypt is a member of the Paris Convention and the Hague Agreement and the WTO/TRIPS. Design protection is obtainable via a national filing; since Egypt is a member of the Paris Convention, priority can be claimed. Egypt is also a signatory to the Hague Agreement which allows for international registration of industrial designs. 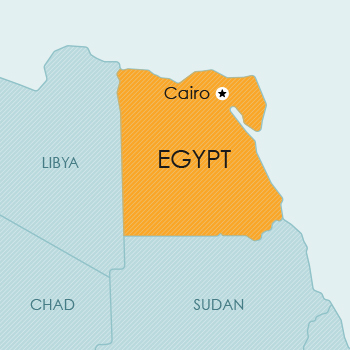 Egypt became a signatory to the Hague Agreement in 1952, but it is not clear if Egypt’s national laws recognise international registrations designating Egypt, as this issue has not been tested by the courts. Egypt is a member of the Berne Convention, the Phonograms Convention, and the WTO/TRIPS. Derivative works are derived from existing works, such as translations, re-arrangements, compilations, and collections of expressions of folklore. Egypt is not a member of the UPOV Convention for the Protection of New Varieties of Plants. Plant Breeders’ Rights can be obtained in Egypt. The effect of the protection is that the plant breeder’s right holder has an exclusive right to commercial exploitation of the protected variety in any form whatsoever. No production, propagation, circulation, sale, marketing, importing, or exporting of propagating material is allowed without the written consent of the plant breeder’s right holder.